Automatic Wallpaper Changer ~ Feature of Se7en. Did you get you bored with your desktop wallpaper so soon and needs to change it every day or every hour or after a particular time. 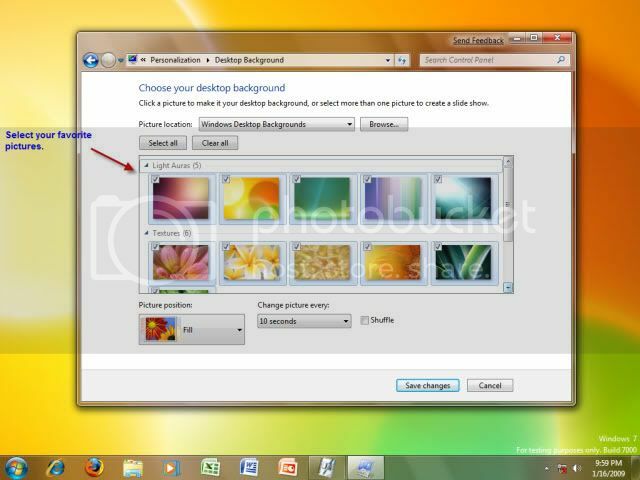 So don’t worry, here Windows Se7en comes with an exciting inbuilt feature of wallpaper changer. This feature changes wallpaper either sequentially or in shuffle mode (if selected) after a preset time as per user needs and requirements. 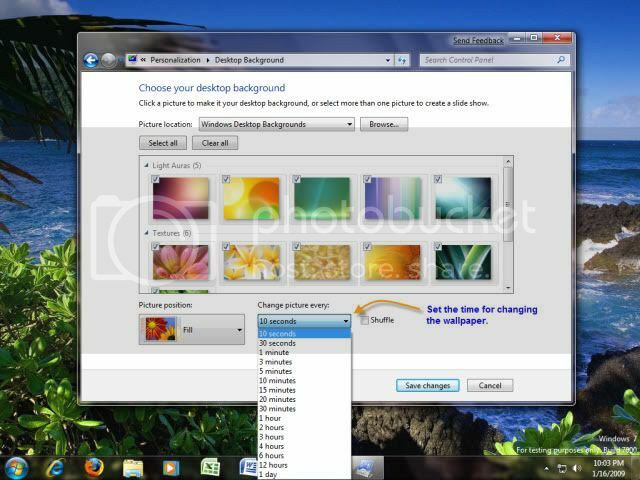 User can easily select their picture store and set the time for changing of wallpaper.Not only this at any time you can easily change the wallpaper by simply clicking on Next Background Picture from context menu from Desktop. Steps to start this feature and enjoy auto random wallpaper changing:1.Right click on desktop and select Personalize from the context menu. 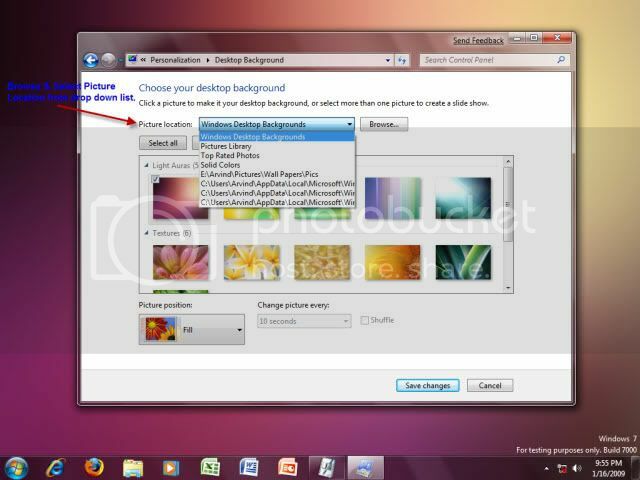 3.Set your Picture location where your pictures ar stored so as to display them on your dekstop. 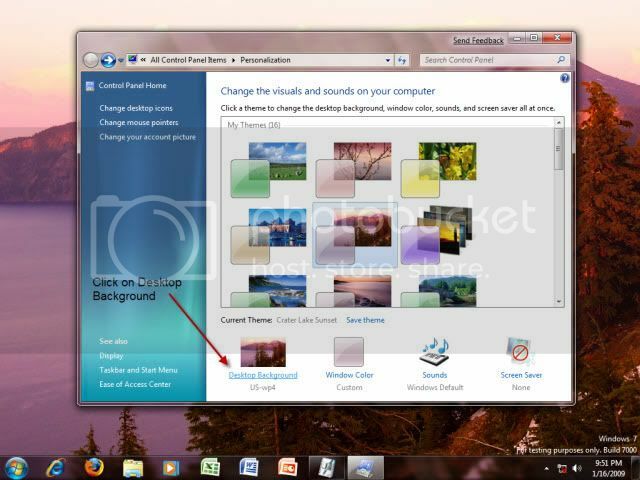 4.Select your favorite pictures from the specified location for display. 5.Set the timer for changing the picture after that particular time. This time ranges from 10seconds to a day. 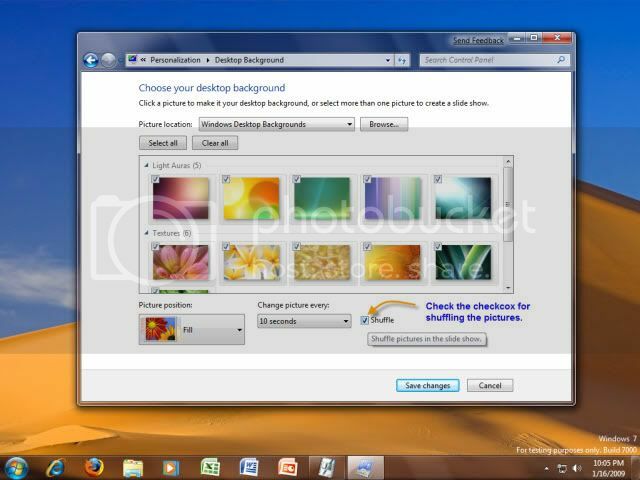 6.Check the Shuffle checkbox in case you want to suffle the pictures for random display. 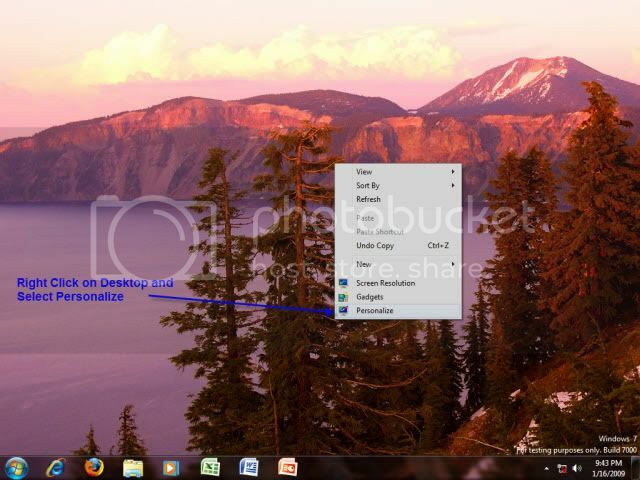 If any user wants to change the picture of desktop before actual time set then it is very easy in a bliknk of an eye. Simply right click on desktop and select Next background picture from the menu displayed. Ok but on my desktop manager I get the wallpaper locked by administrator, how can I unlock? 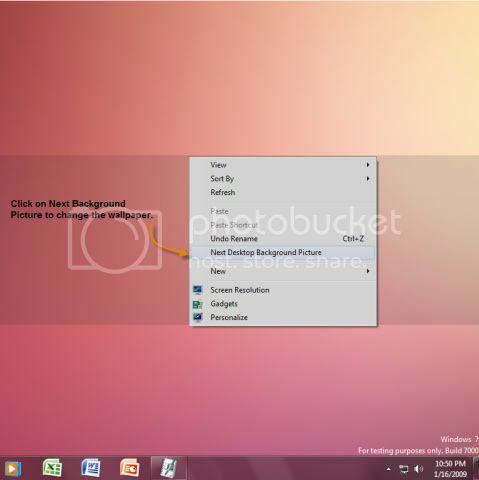 Wallpaper locked means: you are prompted for password after sometime then its due to screen saver password setting. Otherwise you are in guest account and you are restritcted from changing wallapaper i think. so please clarify your problem so that i can give you some solution.